Nutrisyd Hair Care is a specialty nutritional formula scientifically designed to promote beauty from the inside out. Contains Biotin (Otherwise known has Vitamin H) is critical to your hair growth. Biotin brings instant replenishment. Biotin Supports normal cell growth in the hair matrix. Biotin is an essential vitamin known to promote beautiful hair. 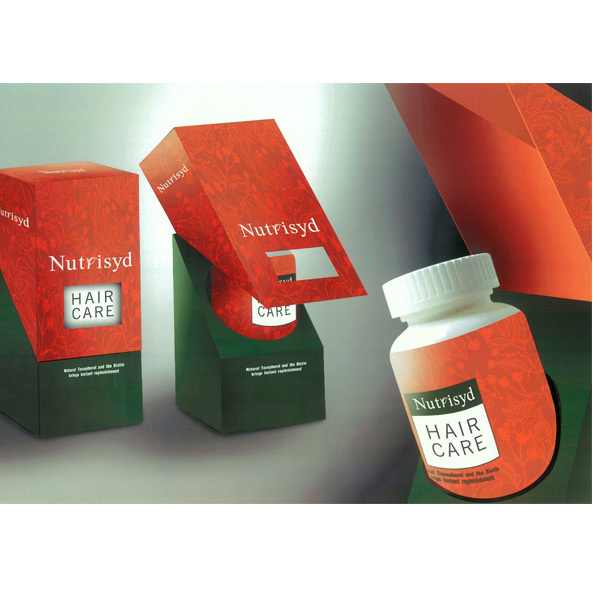 Nutrisyd Healthy Hair Care formula, a combination of herbs and nutrients, provides nutrition required for healthy hair. Dietary food supplement that helps to promote and maintain health of hair. The offered product is hygienically prepared using natural organic herb. Contains Amla, it is beneficial for naturally blackening of hair. Devoid of any chemicals, artificial fragrance and color. Hygienically processed and packed to ensure purity and freshness.